the way people think and act? how we really get things done vs. how we say we get them done? the "unwritten rules" that drive our behavior? the personality of the organization? In short, organizational culture is all of these things, but it is also so much more! UNR Med has made great strides in setting its priorities for the future. As we continue to work toward achieving our strategic goals, we recognize that understanding our school's culture and how the culture facilitates our ability to achieve our goals is key. That’s why we have embarked on this comprehensive culture initiative. 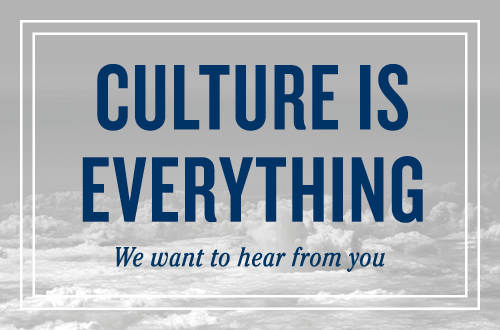 Why does culture matter, and why it should matter to you? Culture influences what faculty and staff consider to be appropriate behaviors—and how we all interact with each other, both personally and professionally. Culture impacts how individuals and working groups alike strive to meet and exceed expectations. 10 (and counting) committee presentations to governance committees and other leadership groups. We expect this initiative to continue to expand its visibility and impact as we move to the next stage: approving and implementing action plans! Department Chairs and Center Directors Committee (6/11/2018). The update includes all prioritized action items at the school-level and for each of our six identified stakeholder groups (i.e., academic faculty, administrative faculty, classified staff, ICS staff, medical students, and residents/fellows). Want to learn more? Request an update and presentation file from your Executive Committee representative! Want a personalized update for your department or office? Contact Carolyn Brayko to schedule a presentation. Our journey continues from here as we work together to collaborate, track, communicate, and adjust as we implement the action items over the next 12-18 months. Then, we will formally survey again to see if we are achieving improved engagement.